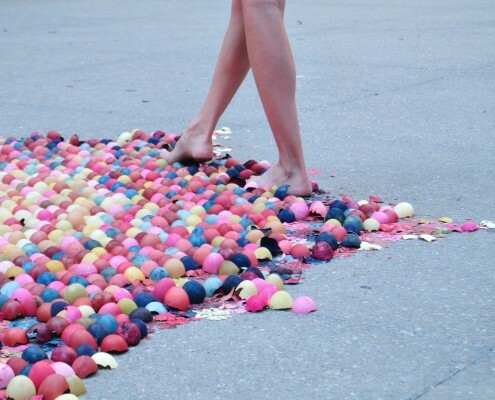 “Walking on Eggshells” is a metaphor that is often used when describing a feeling of being trapped by another’s will and when our voice is silenced. 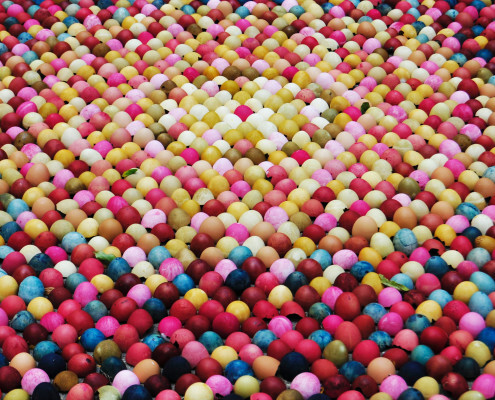 When we feel that our perspective is not being considered or valued; when to do something right for ourselves would cause another to crack, so we tread lightly. 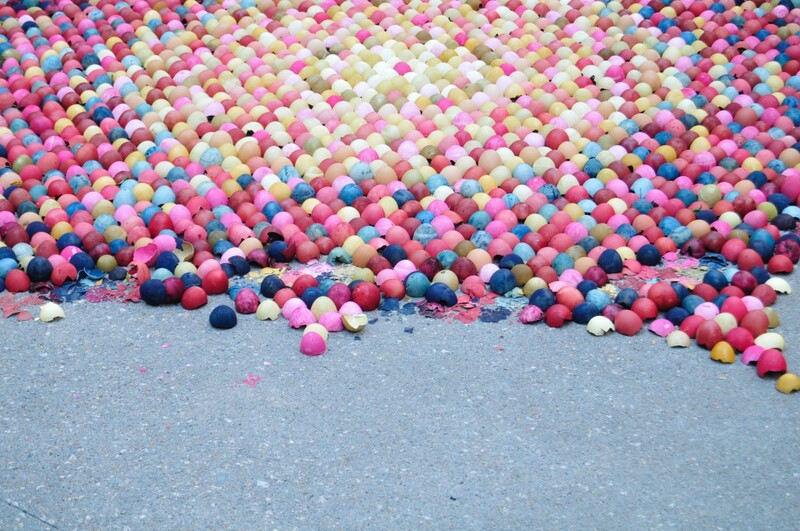 This metaphor is about empathy for the other person who we are being so careful not to break. 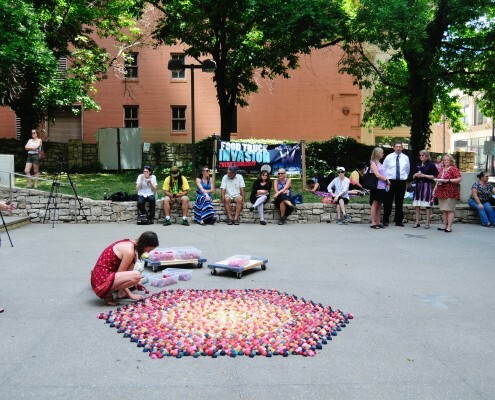 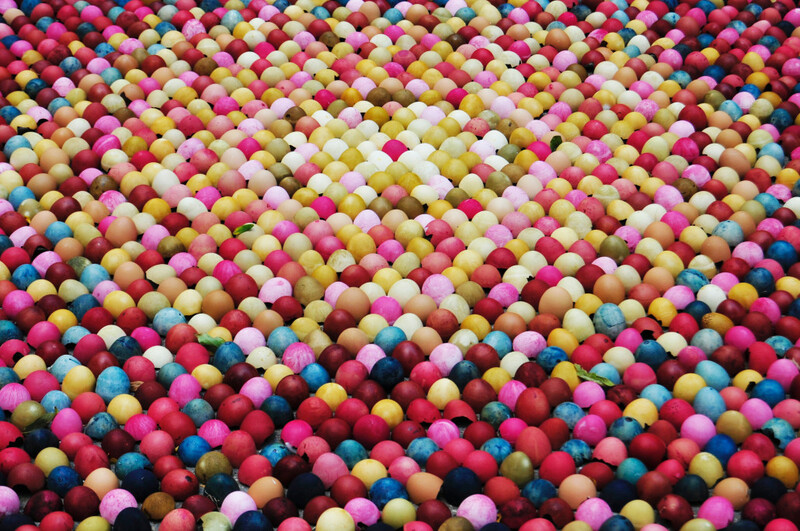 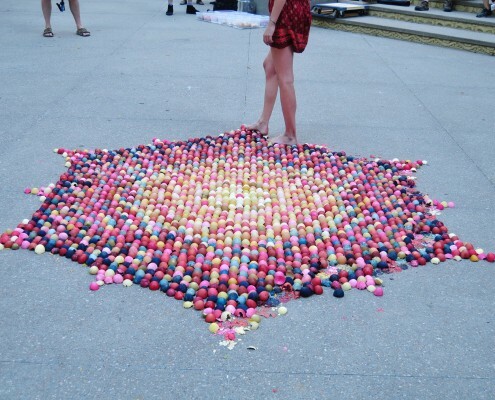 The installation and performance of Greene’s artwork, “Walking on Eggshells Mandala,” flips the meaning of this metaphor and presents a perspective where walking on the eggshells, as hard and painful or slow as it may be, is the purpose; to transform an uncomfortable feeling into a liberating one of self-compassion and divine expression. 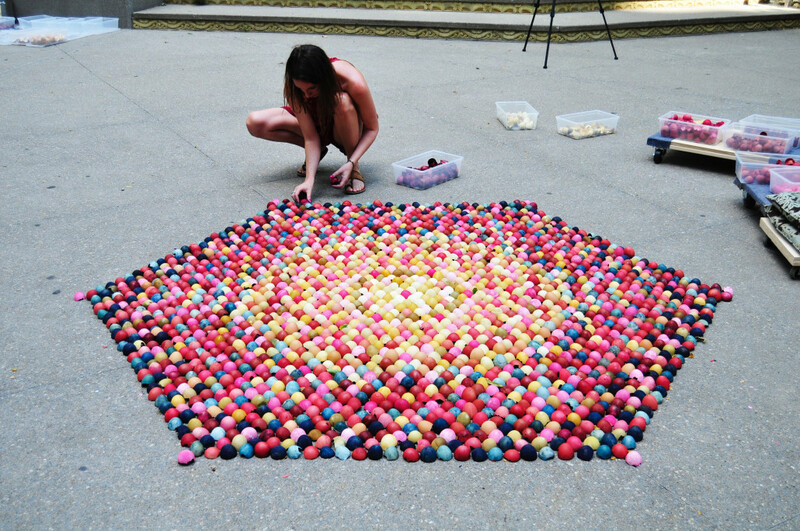 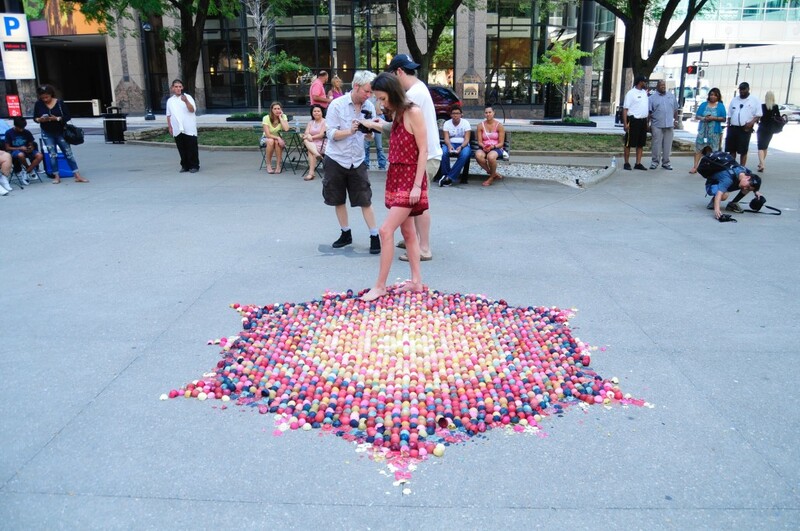 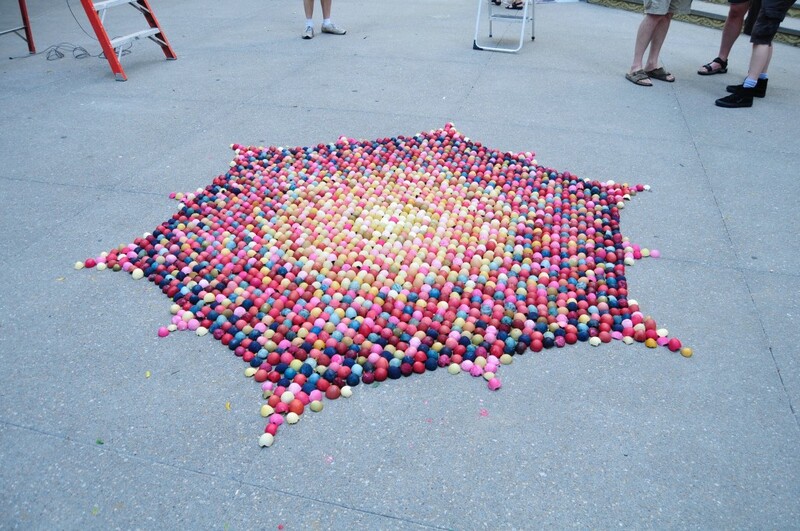 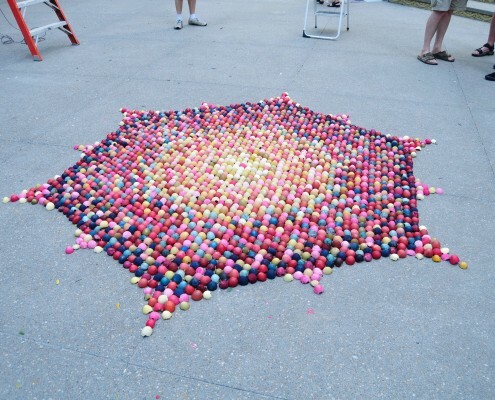 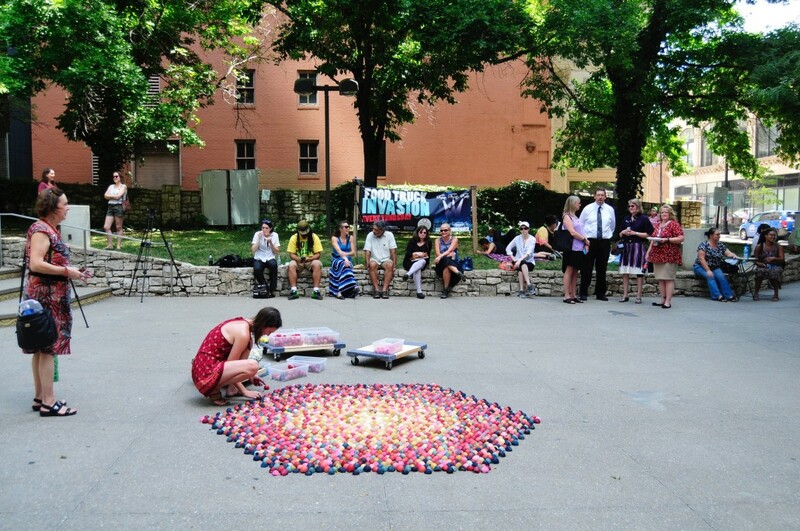 The eggshells are individually placed covering the floor to form the shape of a large colorful mandala. 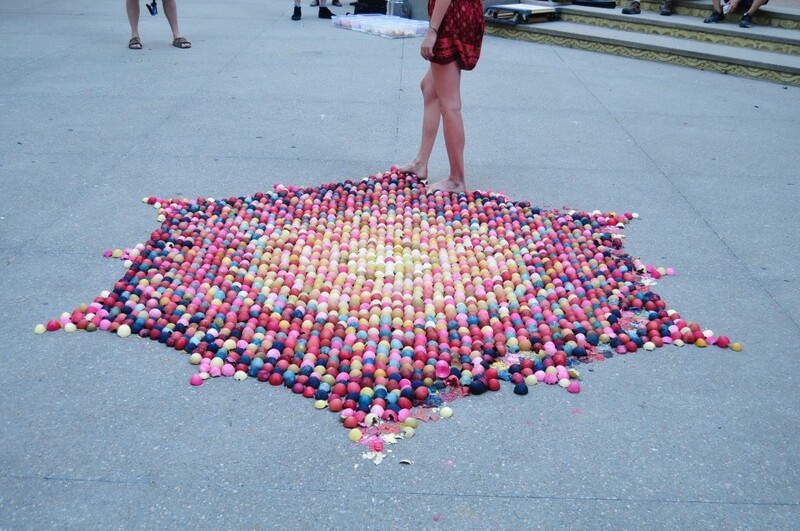 Once all the eggshells are placed, a walking meditation begins, incremental destruction and transformation. 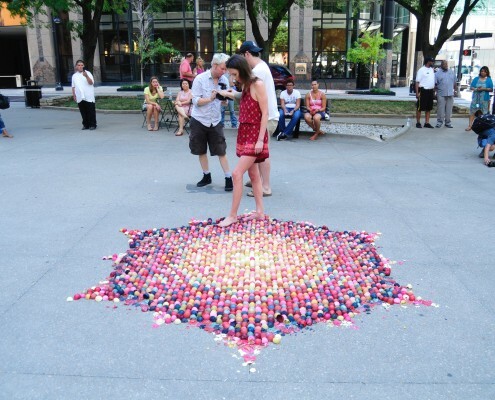 This work is inspired by Tibetan Sand Mandalas, delicately created and appreciated for their momentary existence in time. 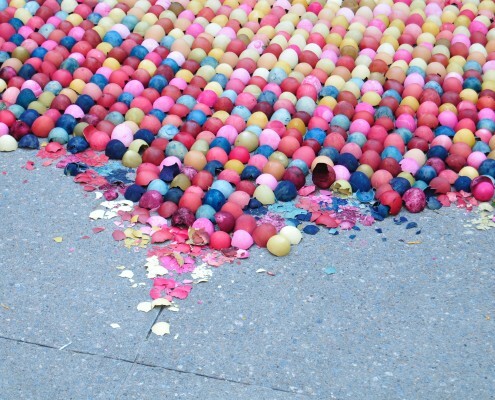 In the end, the eggshells, just as the sand, will be swept away. 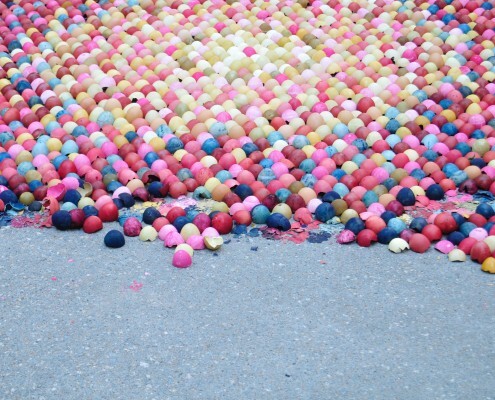 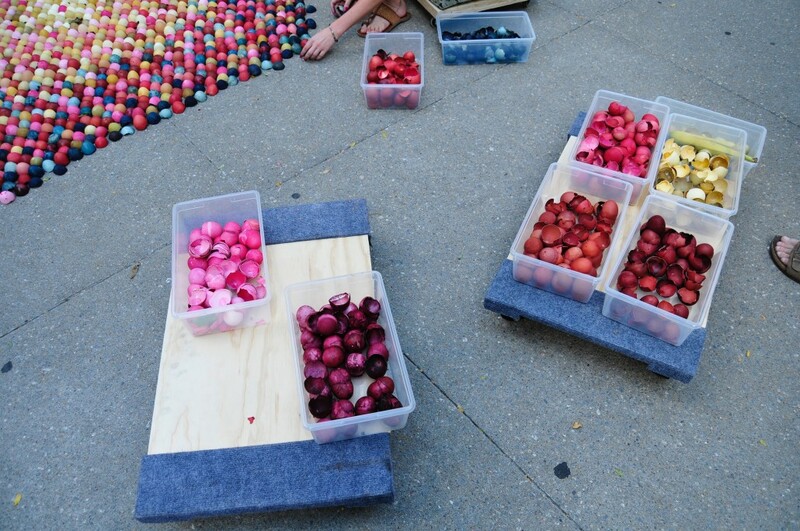 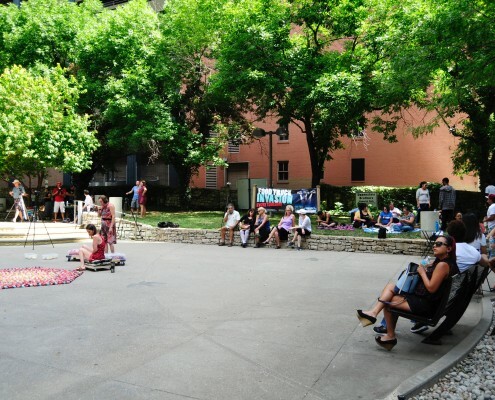 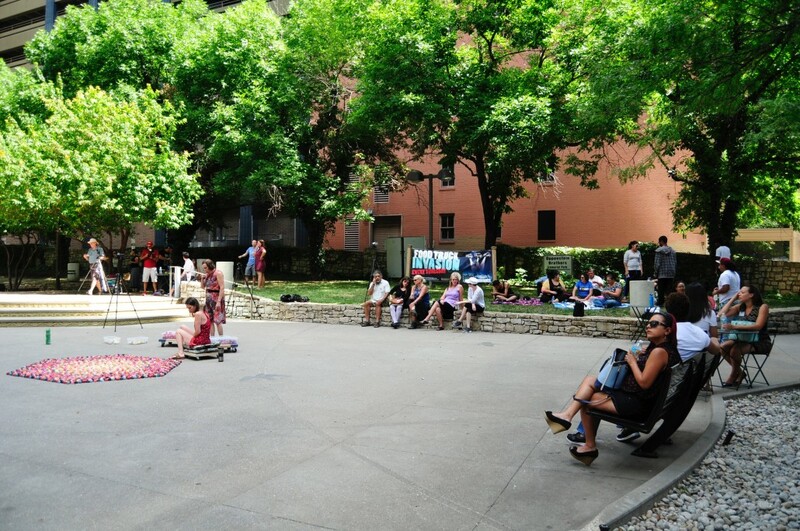 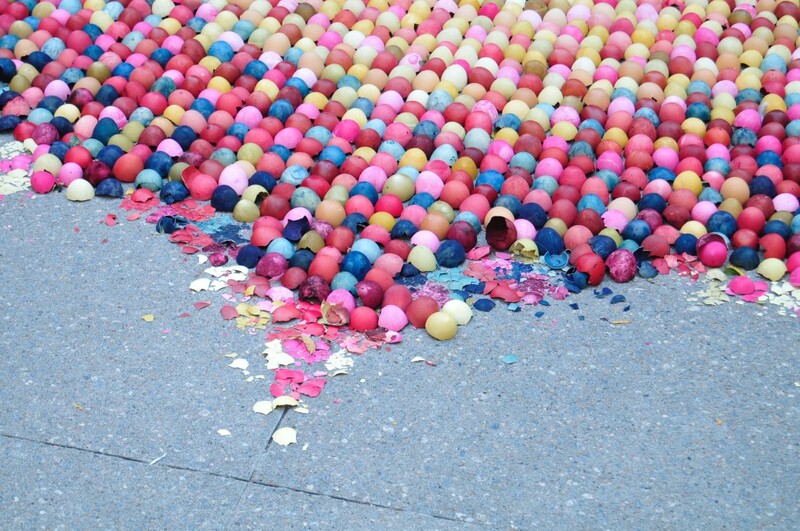 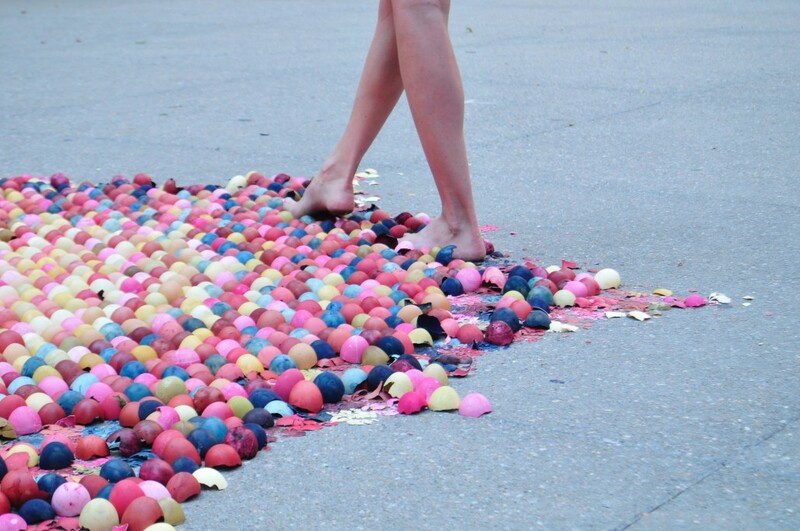 Walking on Eggshells will be created on Thursday, August 18 in Oppenstein Park, at 12th and Walnut. 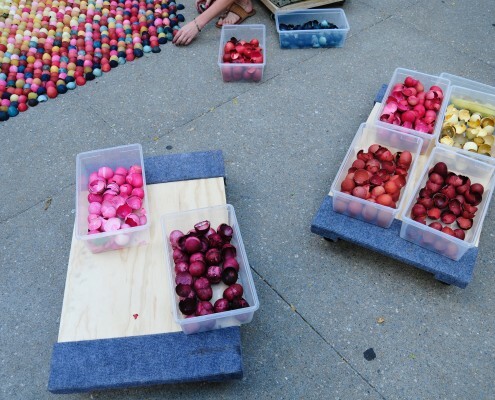 Alison Moyna Greene is a multidisciplinary artist currently living and working in Kansas City Missouri. 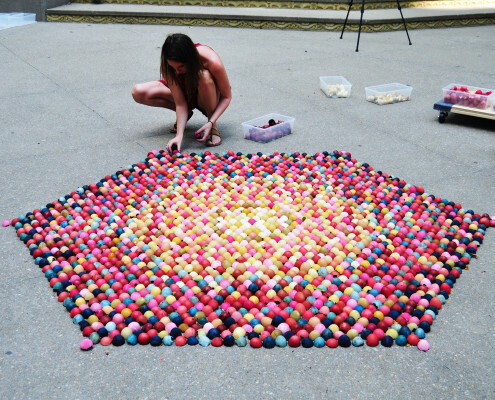 The Walking on Eggshell Mandala series demonstrates her love of working with a wide variety of materials that are transformed in the process of making; a guiding theme in many of her artworks. 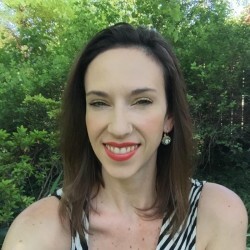 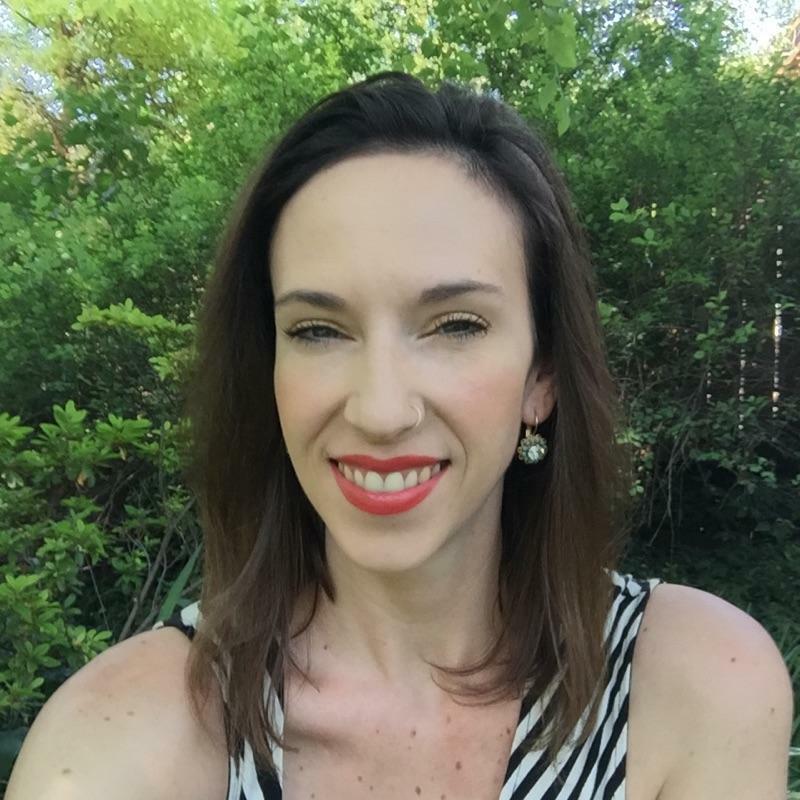 Alison received her Master of Fine Arts from Cranbrook Academy of Art in 2006 and her Bachelor of Fine Arts from the Kansas City Art Institute in 2003.